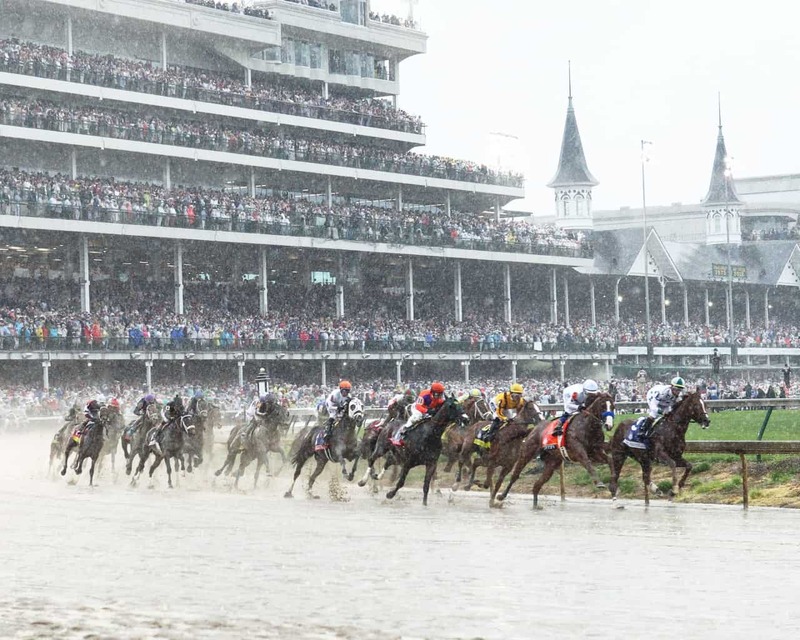 LOUISVILLE, KY – Eight weeks in advance of the $2 million Kentucky Derby Presented by Woodford Reserve, the pari-mutuel field of “All Other 3-Year-Olds” closed as the 4-1 favorite in Pool 3 of the Kentucky Derby Future Wager (KDFW). Four-time Kentucky Derby-winning trainer Bob Baffert’s late-blooming Justify, who improved his record to 2-for-2 on Sunday with a 6 1/2-length romp in a first-level allowance at Santa Anita, closed as the surprise 6-1 second choice. 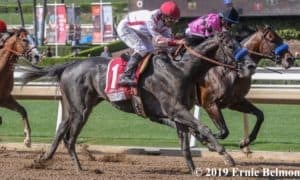 Bolt d’Oro and McKinzie, the clear but controversial 1-2 finishers in Saturday’s Grade 2 San Felipe Stakes at Santa Anita, were the third and fourth wagering choices at 7-1 and 9-1, respectively. 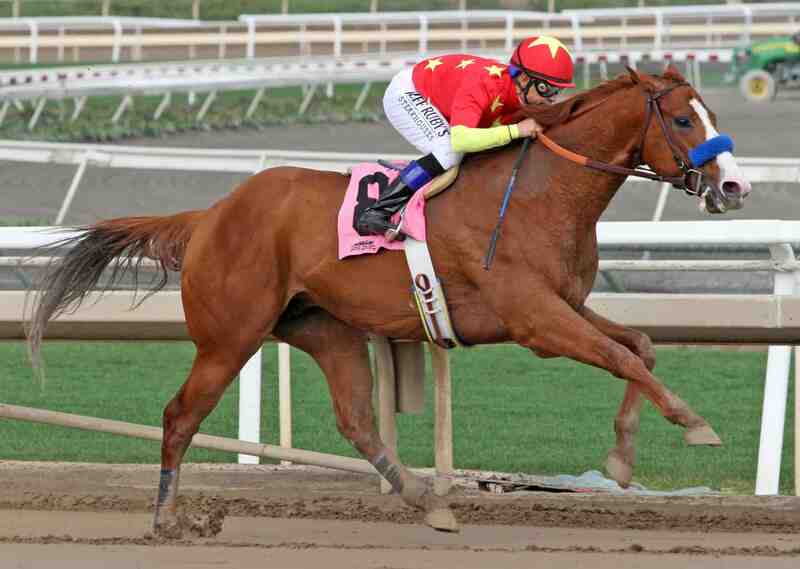 “All Other 3-Year-Olds” has closed as the March future pool favorite in 13 of the last 16 years. 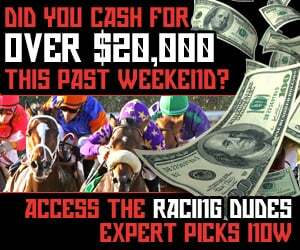 The three exceptions were Mohaymen (7-2 in 2016), Uncle Mo (3-1 in 2011), and Pyro (4-1 in 2018). 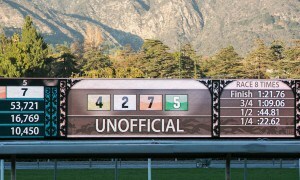 None won the Kentucky Derby. 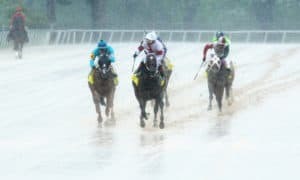 Following Sunday’s win in 1:35.73 for one mile over a muddy surface, jockey Mike Smith was extremely impressed by Justify. 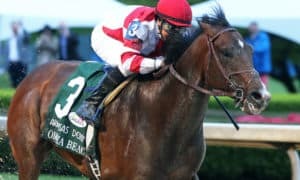 Other horses that attracted interest from bettors in the KDFW Pool 3 were the 2-Year-Old Champion Male and the Sentient Jet Breeders’ Cup Juvenile winner Good Magic (11-1); the Grade 2 Holy Bull Stakes winner Audible (13-1); and the Breeders’ Cup Juvenile runner-up Solomini (17-1), scheduled to make his 3-year-old debut in Saturday’s Grade 2 Rebel Stakes at Oaklawn Park. 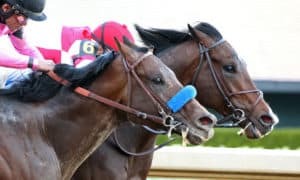 The total handle for the March 9-11 KDFW pool – the third of four wagering pools in advance of the 1 ¼-mile Kentucky Derby – was $394,763 ($277,469 in the Win pool and $117,294 in Exactas), a 5.7% increase from last year’s $373,354 ($250,280 in the Win pool and $123,075 in Exactas). 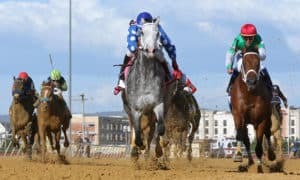 There’s just one more remaining 2018 Kentucky Derby Future Wager pool: April 6-8 (KDFW Pool 4). For more information about these future pools or past pool results, visit our official Kentucky Derby Future Wager page.